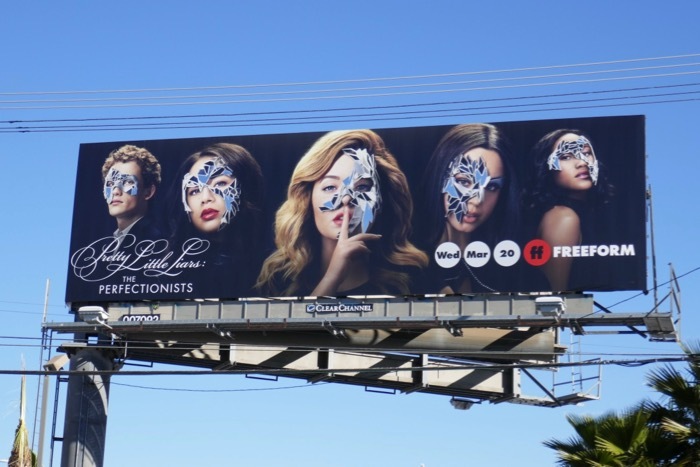 Shhh, don't tell anyone (or maybe do), but this spring there's another set of Pretty Little Liars bringing the drama to Freeform in the form of The Perfectionists. 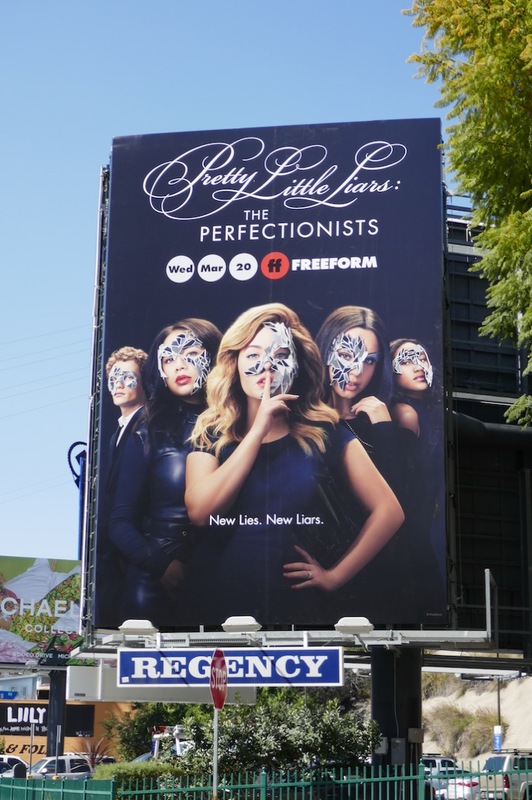 A sequel to the original series and based on Sara Shepard's 2015 novel of the same name, this second spin-off series (after Ravenswood) sees Sasha Pieterse and Janel Parrish reprise their roles as 'Alison DiLaurentis' and 'Mona Vanderwaal' respectively, along with a whole host of new characters for more murder, mystery, secrets and lies. 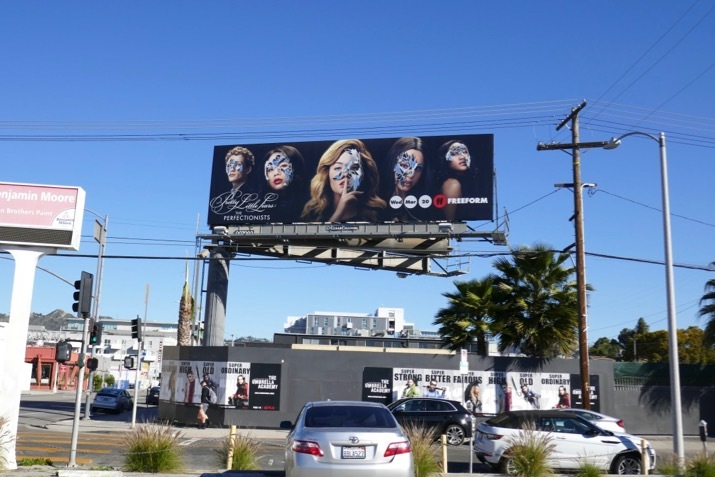 These eye-catching series launch billboards were spotted along La Brea Avenue, Fairfax Avenue, Highland Avenue and the Sunset Strip from February 23 to March 14, 2019. 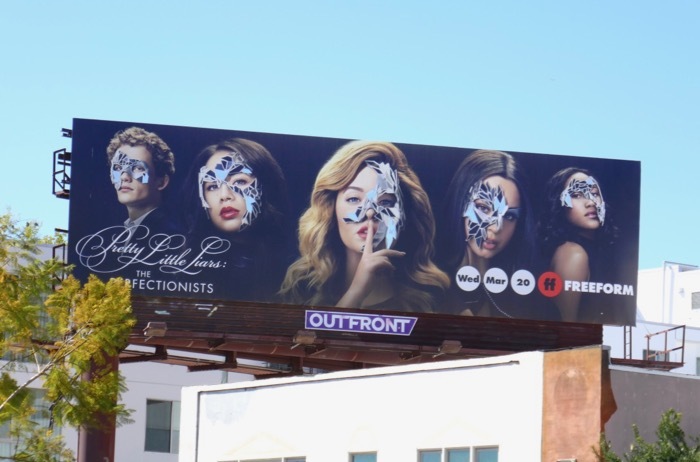 The billboards feature a foil embellishment on the masks worn by the cast which give the outdoor ads a reflective mirror-like quality and really catch the light and stand out. 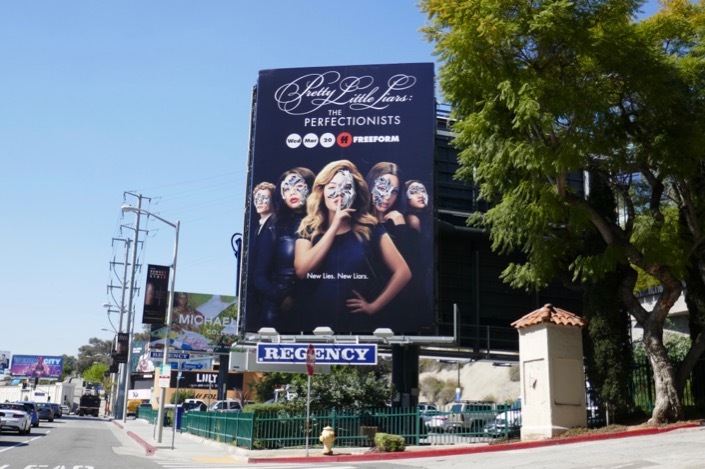 Fans of the original show can also check out this season one billboard for Pretty Little Liars from May 2010. 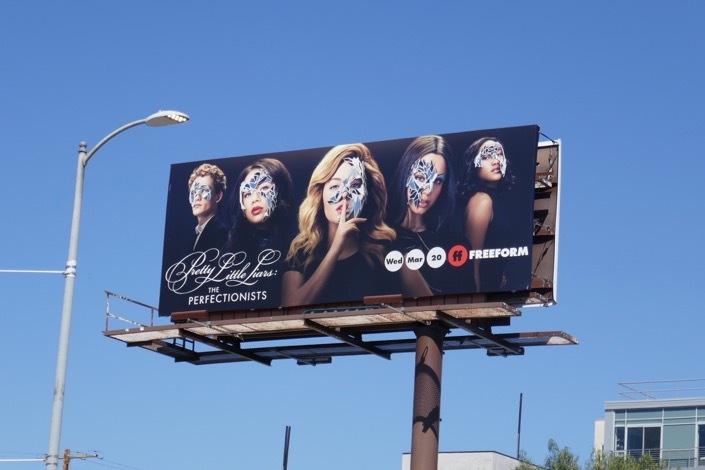 Everything may seem perfect in the town of Beacon Heights, but the stress of striving for perfection can have deadly consequences it seems, which makes for fresh new lies, liars and most of all, drama.